Giving to charity is something that I'm sure most of you are passionate about, just like I am. However, sometimes you just don't have the extra time or money to contribute. Well thankfully, I've found some ways that I CAN contribute... and they each take mere minutes, even seconds! If everyone could contribute just a few minutes to charity on a daily basis, there could be a world of difference! This project encourages us to do something that may be difficult for some... put down your phone!! 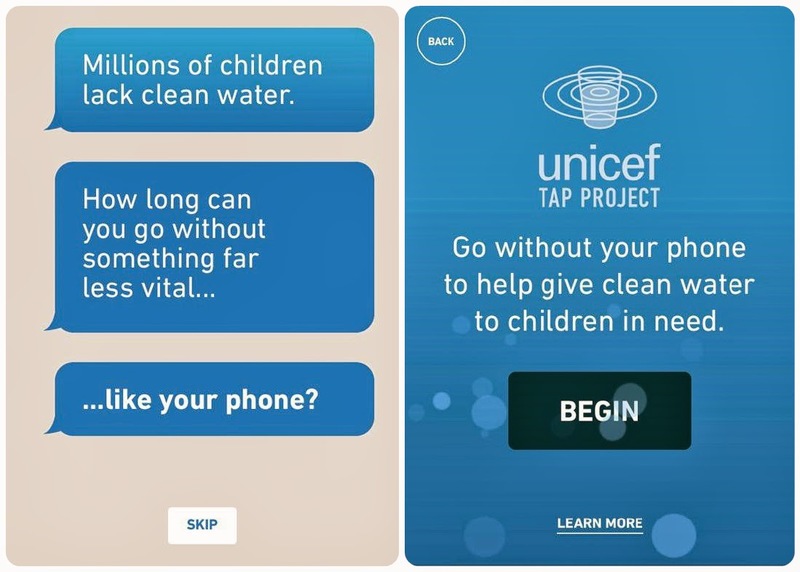 Access www.UnicefTapProject.org on your smartphone and click began. 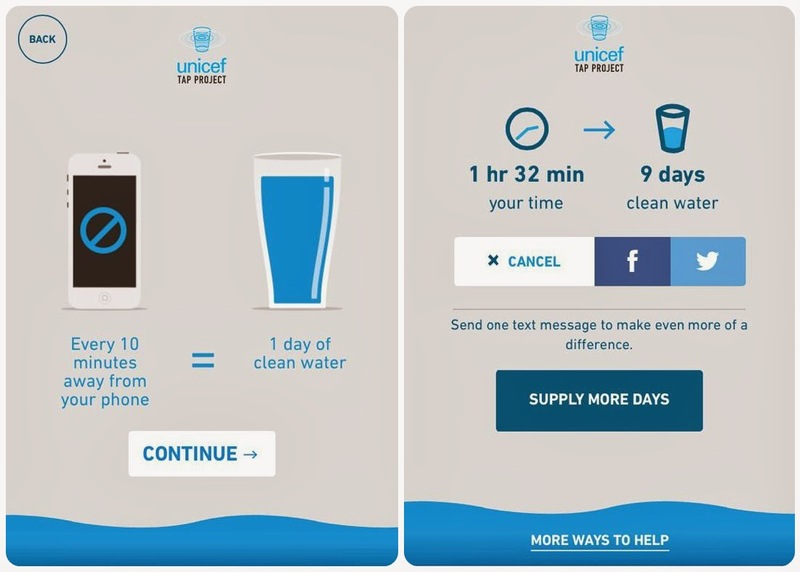 Now put your phone down an for every 10 minutes you go without touching it, UNICEF will donate a full day of clean water to a child in need. Yesterday, I put my phone down at work for a whole hour and 10 minutes. This equated to enough clean water for a child for a whole week! I was so happy to be able to contribute and it felt great to put my phone down and disconnect for a while. Join me in putting down my phone for at least 10 minutes every day! FreeRice is a non-profit website that is owned by and supports the United Nations World Food Programme. FreeRice has two goals: 1) Provide education to everyone for free. 2) Help end world hunger by providing rice to hungry people for free. All you have to do is visit www.FreeRice.com. 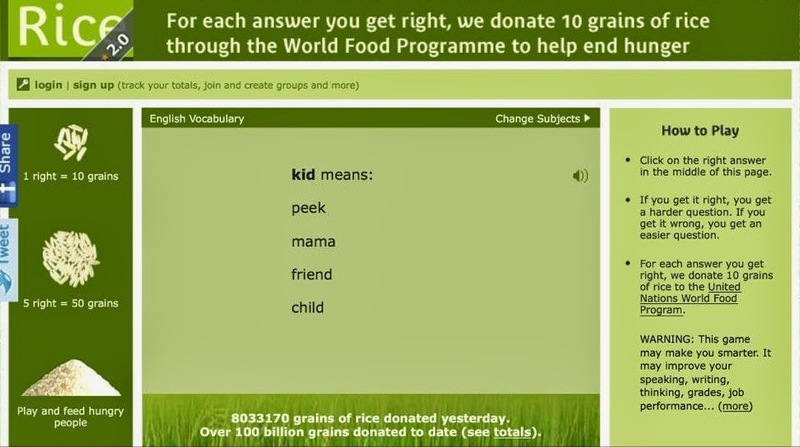 For every multiple choice, vocabulary questions you answer correctly, FreeRice will donate 10 grains of rice to people in need. The questions are great brain exercises and you can answer questions and before you know it, you can donate cups and cups of rice! I've heard of teachers using this in their classrooms, as well! Donating is easy, fun and totally engaging; there's no excuse not to! Check out how many grains of rice were donated in past years! 5,726,897,740 grains donated in 2013!!! Amazing!!! GreaterGood has multiple sites that make it so easy to donate. My personal favorites are www.TheBreastCancerSite.com and www.TheAutismSite.com. 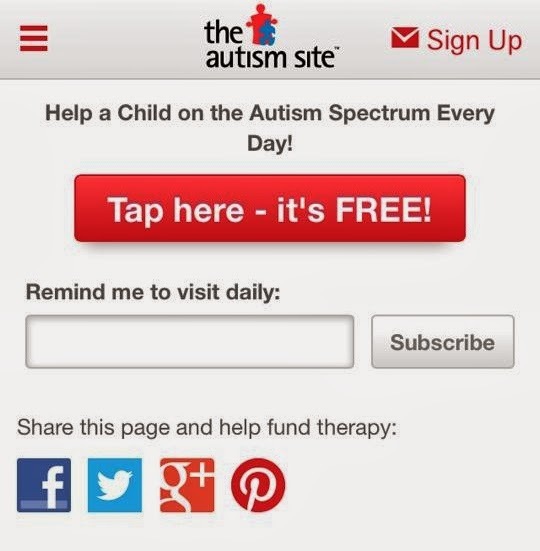 Literally, all you have to do is visit the site and click the button. That's it! 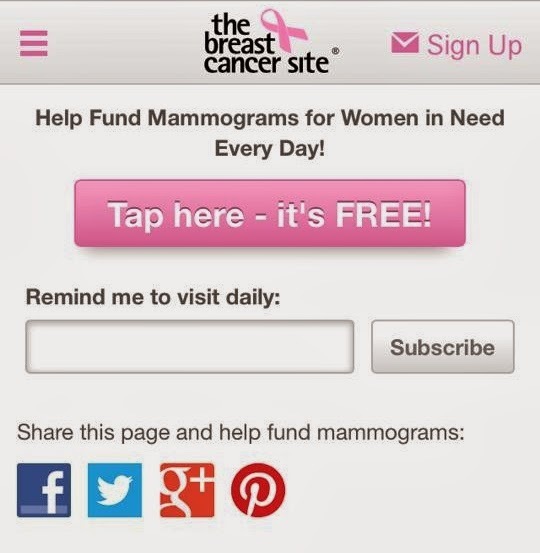 TheBreastCancerSite donates mammograms for every click and TheAutismSite donates hours of therapy for children in need. They also have sites for animals, veterans, hunger, you name it! Also, each site has it's own set of really awesome memorabilia. So if it's a cause that you're passion about, you can purchase some awesome merchandise and support even further! Donating to charity really can't get much easier than this. 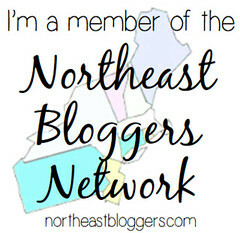 TIP: Save these sites to your favorites list and visit once a day like I do! Every click makes a difference so spread the word and getting clicking! How you do stay charitable On The Fly? !